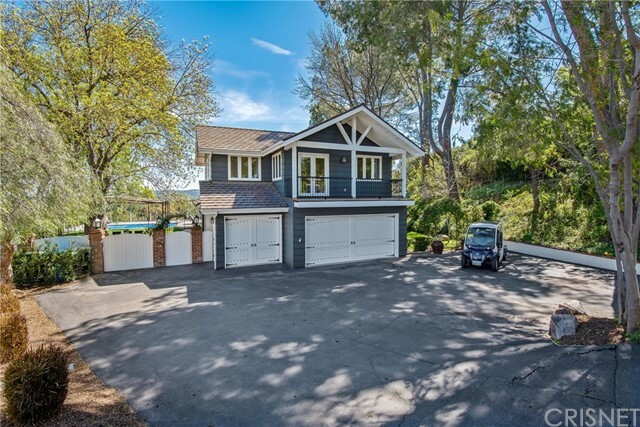 All Hidden Hills homes currently listed for sale in Hidden Hills as of 04/26/2019 are shown below. You can change the search criteria at any time by pressing the 'Change Search' button below. "This magnificent custom estate totals approximately 12,351 square feet of true luxury living. Step through the entry door into a world of true quality and elegance. Every inch of this model sharp home shines. Highlights of the main house include a downstairs master suite with retreat, dual baths, and dual custom closets, plus five additional en suite bedrooms, a gorgeous center island chef's kitchen, both breakfast & formal dining rooms, a family room, game room, lounge with wet bar, refrigerated wine cellar, custom office, bonus room, and sunny living room that opens to an outdoor dining patio overlooking the spacious grounds. Additional property amenities include a beautiful detached gym with bath and private spa, a large guest house complete with kitchen, fireplace, and additional bedroom and bath, two covered patios, a sparkling pool & spa with multiple waterfalls, expansive lawn areas, putting green, lush privacy landscaping, and a six-car garage. If you've been waiting for something special, this is a spectacular home from start to finish. (The measured square footage includes the main house, guest house, and gym house)." 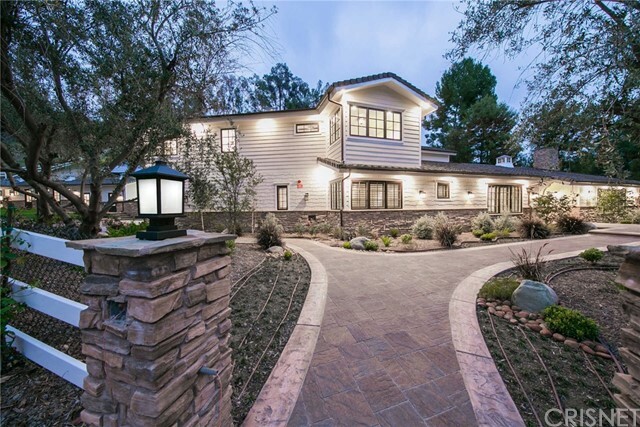 "Beautifully remodeled and gorgeous, this custom estate is located in the prime Ashley Ridge section of Hidden Hills. Featuring a superb open floor plan, amenities include a two story entry with dramatic double staircase, a beautiful newer kitchen that opens to the large family room, plus a home theater, game room, bonus room, custom office/study, wine cellar, and separate guest house. All bedrooms are large and en suite, with the spacious master suite offering a retreat, hardwood floors, new all stone bath, two oversize custom closets, fireplace, and view balcony. Set on over an acre of lushly landscaped and very private grounds with a sparkling, stacked stone pool, spa, large covered patio with inlaid stone decking, fountains, roses, mature trees, circular driveway, expansive courtyard parking, basketball area, and a six-car garage behind electric gates. Three of the six-car garages are air conditioned and are currently finished as a huge bonus/multi-purpose room, all set on a prime cul-de-sac." 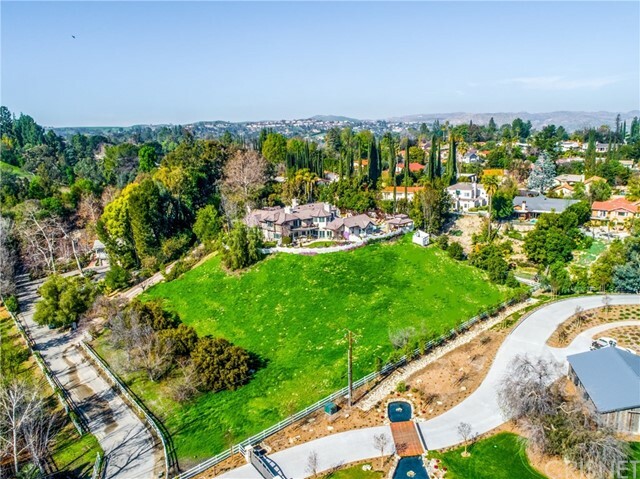 "This unique 1.5-acre sport lover s paradise is located on a desirable double cul-de-sac in Hidden Hills which Forbes Magazine calls one of the most exclusive guard gated communities in America. The estate features an indoor racquetball court with viewing area, home gym, and outdoor tennis court, batting cage, basketball court and in-ground trampoline. The designer pool, complete with grotto and waterfalls, was recently redone with French gray plaster. The main house is flooded with natural light from beveled leaded glass windows reflecting off the high gloss maple floors. Enjoy entertaining in the poker/billiards/music lounge and formal dining room that can accommodate 20. The gourmet kitchen includes a commercial quality refrigerator, Wolf 6 burner stove, large walk-in pantry, sunny breakfast room and a separate catering kitchen. The open flow between the kitchen and the relaxing great room is perfect for interaction with family and friends. The luxurious master retreat features a fireplace,balcony, and a romantic master bath with fireplace, 2-person spa tub, and steam shower. There are 3 additional en-suite bedrooms in the main house. The 2 bedroom/2 bathroom guesthouse is the perfect place for visitors.nFrom the Welcome Party, Annual Fiesta, Theatre and Equestrian Events to the Community Center and Summer Camp Programs, there is something for everyone. Served by the Award Winning Las Virgenes School District and close to the beaches of Malibu!" "Beautiful flat lot on Long Valley Rd. 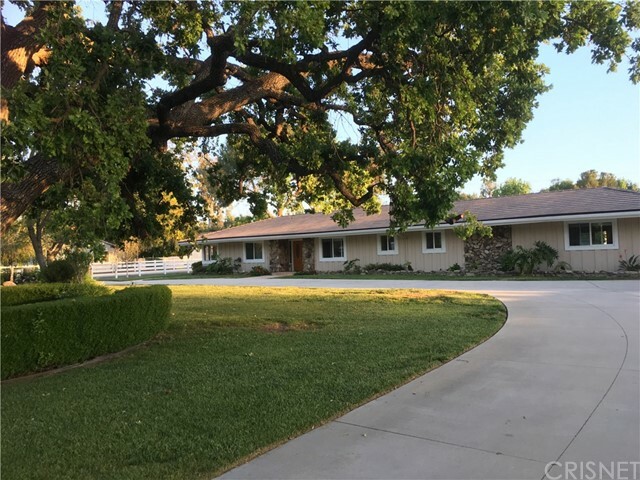 Great investor property, great builder opportunity or great opportunity to get into Hidden Hills. Nice clean house 4 bedrooms, 3 bathrooms plus a study."